Vidicom Realtimers - A Vidicom and Christy Ferer Company: Pumpkin spice and everything nice! There's no questioning that fall is here! The weather is that prefect mix of chill, the trees are beautiful, apple picking and Sunday biking in the crisp cool air take up our weekends. But for some of us there is a different fixation that makes the Fall such a highly anticipated season. Today we hear from our production assistant Kimberly as she tells us why she looks forward to Fall. Two words: PUMPKIN SEASON! Which means only one thing; all pumpkin everything!!! Sure, there's Thanksgiving, Columbus day weekend to look forward to or being able to wear my Uggs again without the judgement of everyone on the Q-Train. 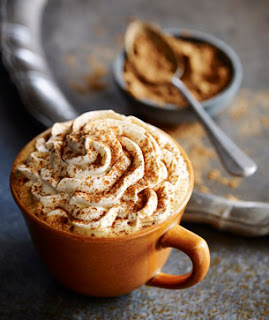 And while I do love a good warm glass of apple cider nothing compares to my first love: the pumpkin spice latte. I've literally waited all year for that warm spicy, sweet, smooth taste to hit my lips. I quite frankly have a fixation with flavoured coffee. (Hey, you'd feel the same if you had to operate a camera at 5AM!!) So I tend to switch things up all the time. Some vanilla today, caramel tomorrow but once Fall rolls in, the pumpkin is king! A warm cup can get me over even the most serious cases of knit wear envy! If you're a pumpkin lover such as myself, I've complied a few things you can indulge in this Fall! 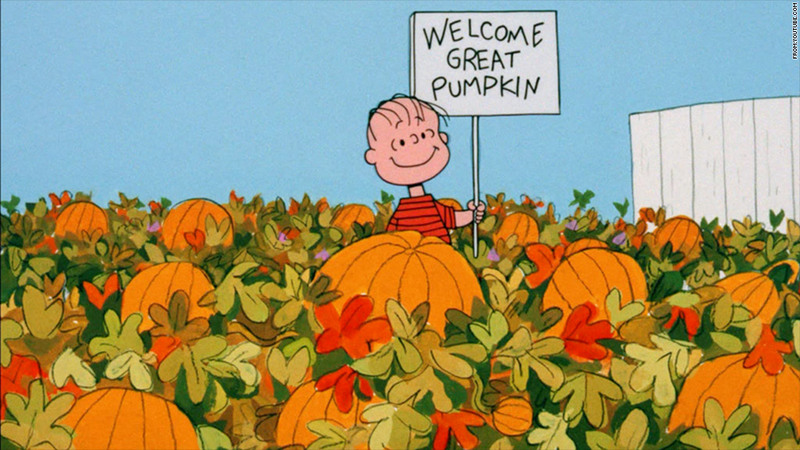 - Watch "It's the Great Pumpkin, Charlie Brown" on ABC this Halloween weekend. - Try Spaghetti squash as an alternative to regular pasta. - Learn to carve a Jack-O-Lantern. 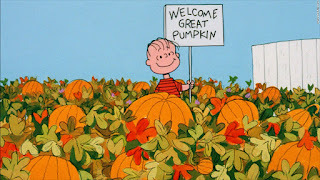 - Go Pumpkin picking with your family or a friend. - Try some pumpkin ice-cream or a pumpkin flavoured dessert. - Pumpkin beer... need I say more!!!! - Add pumpkin seeds to bagels, breads and trail mixes... trust me they're heart healthy! Most importantly, try some pumpkin if you've never had it! It's pretty yummy and has surprising health benefits. Pumpkins are chocked full of Beta-Carotene, Anti-Oxidants, Vitamin A, Fiber and Carotenoids. A serving of pumpkin can boost vision and mood as well as your body's immune support and protect your skin.